The charges against Cho Hyun Min (35) have been dropped. On October 15, Seoul Southern District Prosecution Office announced Cho Hyun Min is innocent on the charges of obstruction of business, and there is no right of arraignment on the charges of physical assault. 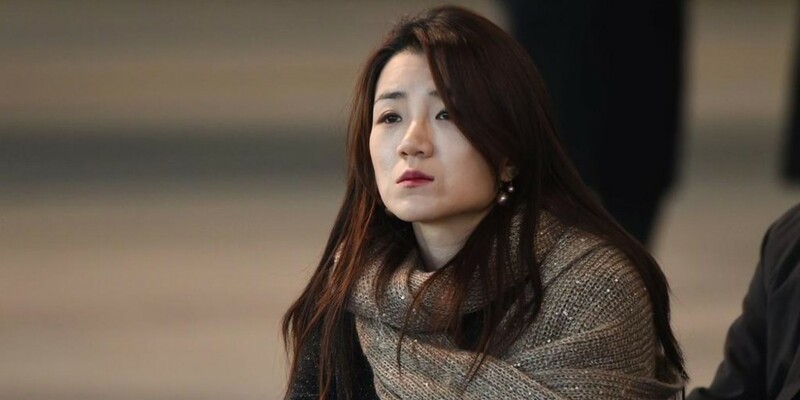 Back in April, Cho Hyun Min, the daughter of Korean Air's chairman and sister of Cho Hyun Ah, who's infamously known for the 'nut rage' incident, received heavy criticism after an audio of her violence in a business meeting went public. Cho Hyun Min was accused of physical assault (shoving an advertising manager and throwing a water bottle), obstruction of business, as well as smuggling. Korean Air suspended Cho from her duties at Korean Air following the controversy. According to the prosecutors, the victims and other individuals at the meeting did not wish to seek punishment on Cho. Cho also apparently didn't throw the water bottle at anyone, but rather on the ground. As for the charges of obstruction of business, there was no evidence showing she intended to obstruct the advertising company's work.